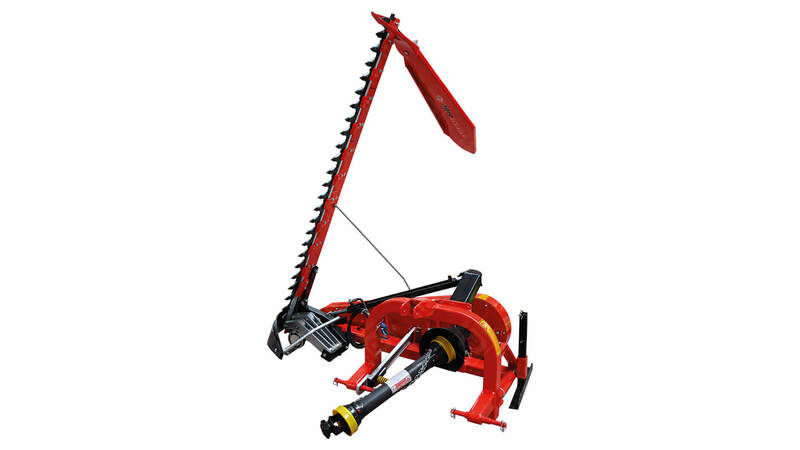 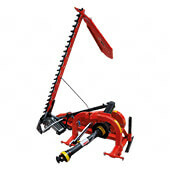 Double bar sickle mower is a three-point linkage mower that attached to the lower links and to the upper link bracket of the tractor. 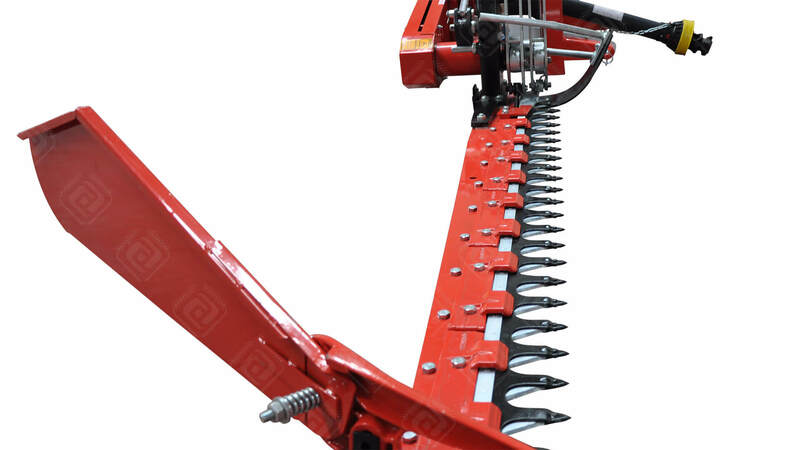 The blade is moved by three V-belts which will slide if a solid obstruction enters to the cutter bar causing the clogging of the blade. 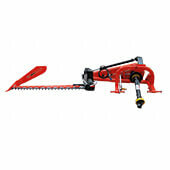 The crank shaft and blade are dynamically ballanced, thus ensuring a smooth and quiet running of the machine. 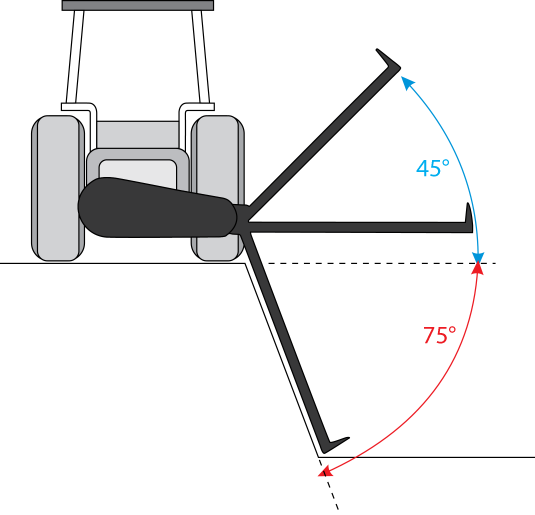 The movement device permits the cutter bar to operate at wide slope angle. 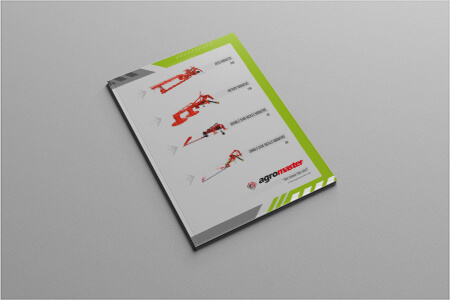 The cutter bar is equipped with an automatic braker system which enables to rebound in case of coming across with an obstruction. 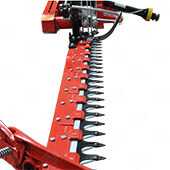 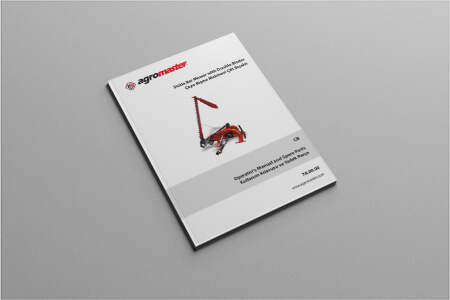 Attaching of the machine to the tractor can be easily done by driving the tractor to the back. 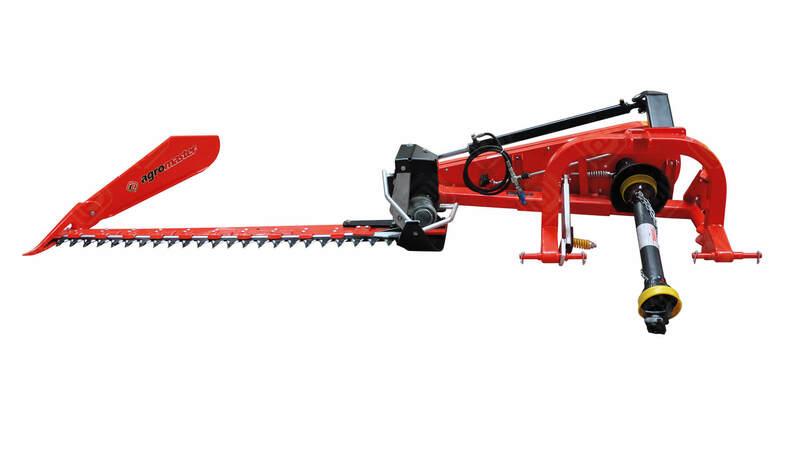 Besides operating on flat ground, the machine is ideal for work on banks, slopes and in drainage canals, since the mowing bar can work in a tilted position.